If you live in Canberra you’ll know the winters are freezing cold and the summers boiling hot, which can be as tough on the roof of your carport as it can for you! 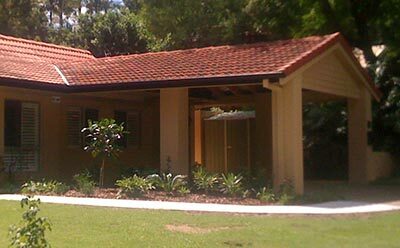 So, if you’re considering building a new Canberra carport or replacing the roofing on your current one, consider these roofing options to ensure you make the best choice. Metal roofing is perhaps the most obvious option. It ticks a lot of boxes – it looks great, is available in a range of colours, is easy to work with and relatively inexpensive to buy and fit. Most importantly, it’s as tough as nails and resistant to corrosion. The makers of Colorbond®, the most popular metal roofing used in Australia, say that its product is designed to withstand extremes of temperatures and conditions, including dust, rain, wind and hail. Which means it’s going to withstand everything the Canberra weather can throw at it! Polycarbonate roofing may not look tough, but it is. Some people may still be a little scarred (and scared) from old-style clear roofing sheets that would split at the first sign of a strong wind, but today’s polycarbonate roofing is different. Laserlite® is the most popular product in Australia and its polycarbonate corrugated sheets now feature what it calls “Advanced Weatherguard™ technology”. It’s a special protective material that is guaranteed to extend the life of Laserlite® by up to 50% compared with some other polycarbonate corrugated sheets. The major benefit of using polycarbonate over other types of roofing is that the sheets allow light in, while keeping UV rays out. It’s also economical to purchase and install. Roofing tiles are in some people’s eyes the most aesthetically pleasing roofing product around. These days you can get roofing tiles in a wide range of colours and profiles. The drawback is they’ll set you back more than metal or clear roofing material. Plus, if you’re replacing the roofing on your Canberra carport from say Colorbond or polycarbonate sheeting to tiles, you’ll probably need to spend money and time strengthening your carport structure. Specialty options are also available. While all of the above roofing materials will do a great job of keeping your car protected, plus warmer in the winter and cooler in the summer, insulated roofing may be worth considering if vehicle comfort is high on your list of wants. 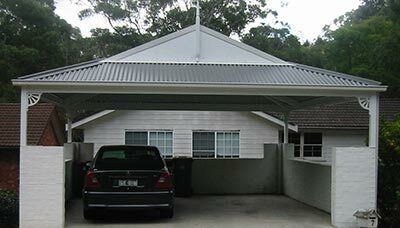 Another possibility is a curved roof, using either clear sheeting or metal roofing, to add a wow factor to your Canberra carport. Whatever roofing material you choose, make a wise choice and get Mr Carports in to give you a hand. Our Canberra branch is owned and operated by a local person. This means they’re not only hugely experienced at building carports, they understand local weather conditions, as well as local regulations and requirements.